Educating the public to the challenges our ocean planet faces is a daunting task. That is why the One World One Ocean media campaign was launched in 2011 to bring even greater focus and advocacy on behalf of the ocean through the IMAX films that MacGillivray Freeman Films has been making for over 40 years. 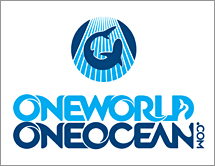 One World One Ocean has been dedicated to supporting and extending the reach and messaging of the Ocean based IMAX documentaries and their accompanying educational programming utilized in more than 200 IMAX Science Museum Theaters and aquariums in over 30 countries. The IMAX film experience is a powerful platform for larger than life storytelling, and for many of the more than 20 million people worldwide who experience them, it is the most visceral underwater ocean experience they may ever have. One World One Ocean is committed to the long-term release of its films and outreach programming across every platform including social media. With an overarching goal of continually reminding the public that healthy oceans are essential for life on earth, their campaign goals are focused on building public awareness around three key ocean issues including getting people to eat sustainable seafood, reducing plastic pollution, and expanding ocean protected areas to at least 10 percent of the ocean.